This is my favorite time of year! I absolutely love all the fun and festivities of the holiday season! Although I love crafting throughout the year, there’s something special about making handmade decorations and gifts around Christmas time. 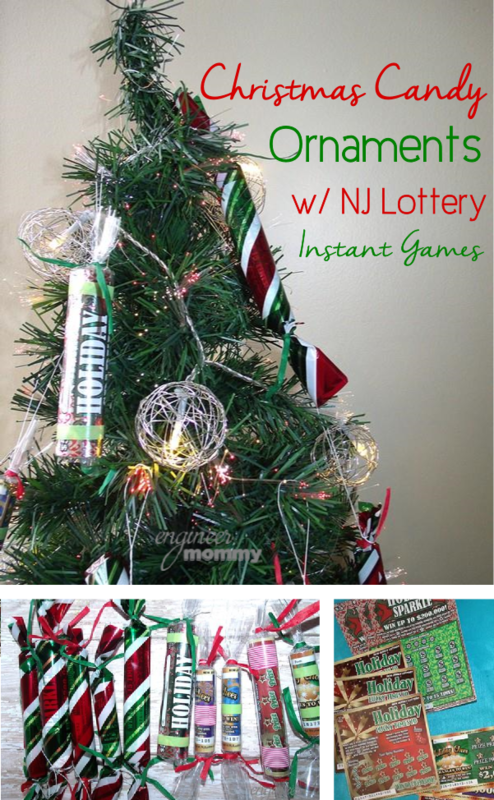 Today, I am so excited to share with you all an easy and simple DIY project for the holidays using NJ Lottery Holiday Instant Games! 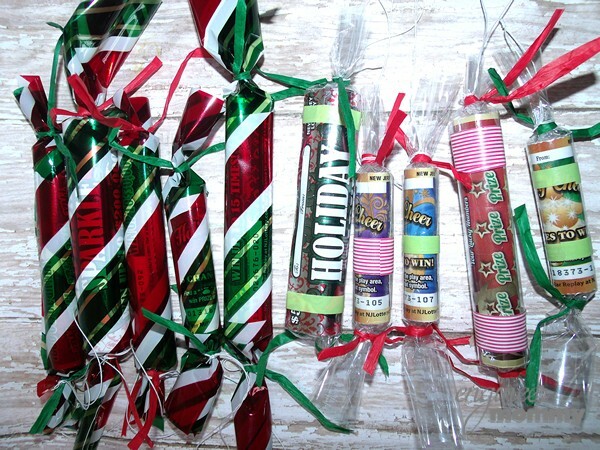 I am making DIY Christmas Candy Ornaments using NJ Lottery Tickets. These little handmade ornaments are perfect as tree decorations to enjoy throughout the season, but they also make really easy & festive gifts for teachers, neighbors, relatives, etc. Check out my cute handmade candy ornaments! Here’s a sneak peek at the finished product! To make these ornaments, I used the New Jersey Lottery Holiday Instant Games that were provided to me, including the $1 Holiday Cheer, $2 Holiday Luck Times 10 and $5 Holiday Sparkle. There’s also a $10 Season’s Gold game available this year! The top prizes for these games range from $2,000 to $1,000,000! 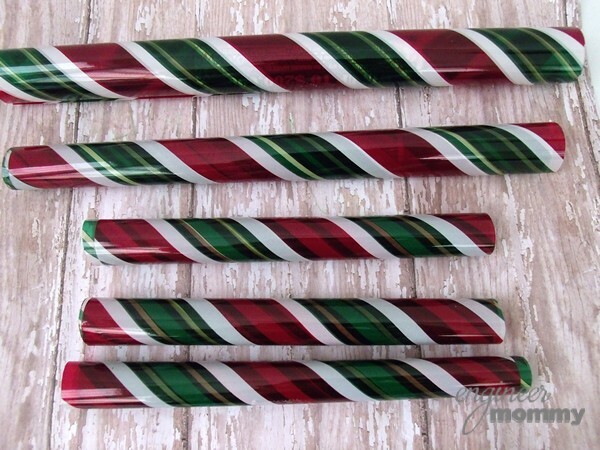 NJ Lottery Tickets are such a fabulous gift, stocking stuffer or party favor as they are, but when formed into these adorable DIY Christmas Candies, they are spectacularly festive! The potential for a large cash payout makes giving and receiving these DIY ornaments so much fun! 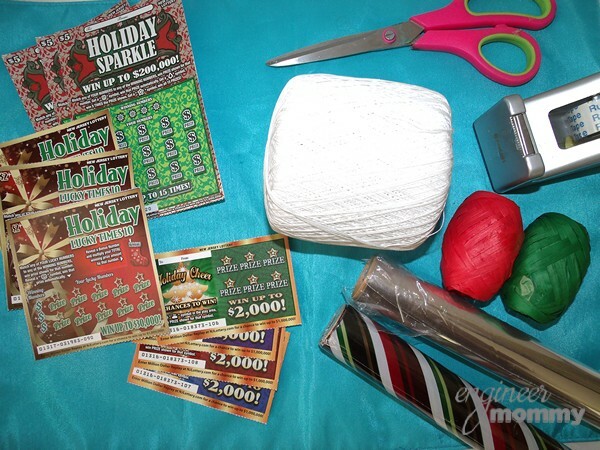 All of the Holiday Instant Games can be found at any local Lottery retailer. Let’s get to the tutorial now, shall we? 1. Roll up the NJ Lottery Holiday Scratch Offs! Vary the size of the tickets you use, as well as how tightly you roll them up. Secure with a strip of clear tape. 2. Wrap some of the tickets with the clear cello wrap so that you have some excess on either side of the ticket. 3. 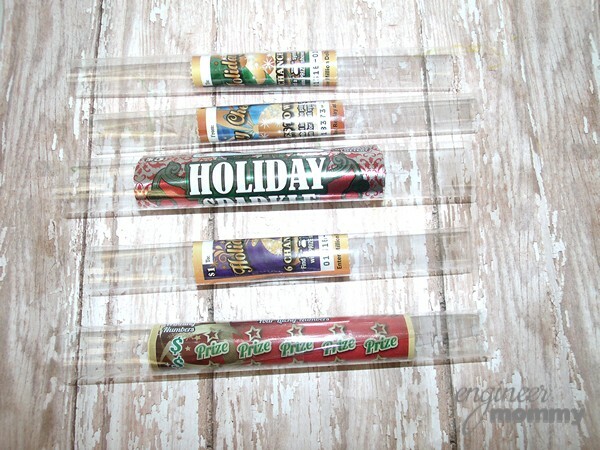 Wrap some of the tickets with the seasonal cello wrap so that you have some excess on either side of the ticket. 4. Use strips of raffia ribbon to twist and secure the ends of the wraps. I love how even though the ornaments are wrapped in colorful cello wrap, you can still see that these “candies” are actually NJ Lottery Tickets! 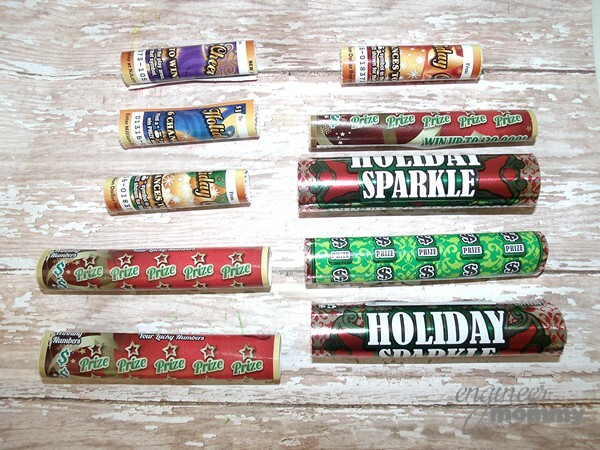 For the clear wrap, I also adhered a few strips of the festive washi tape on the roll! 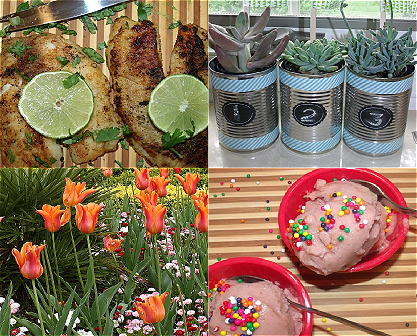 This was such a fun and easy little craft project. 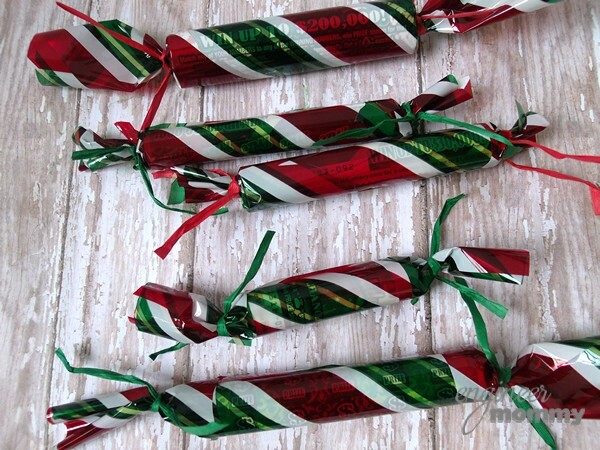 These little DIY Christmas Candies are perfect for decorating the tree this holiday season! From afar, they look like delicious candies. But up close, you can see that something far more valuable lies inside! 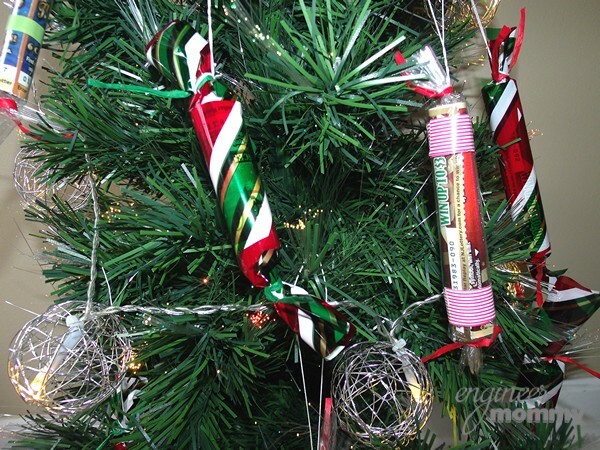 Want to know how I’ll be using these DIY Christmas Candy Ornaments this year?! I’ll decorate my tree with them throughout the season, as they serve as festive tree decor! And then, during my Christmas party, as my guests are getting ready to leave, I will hand out these ornaments to my friends & family! 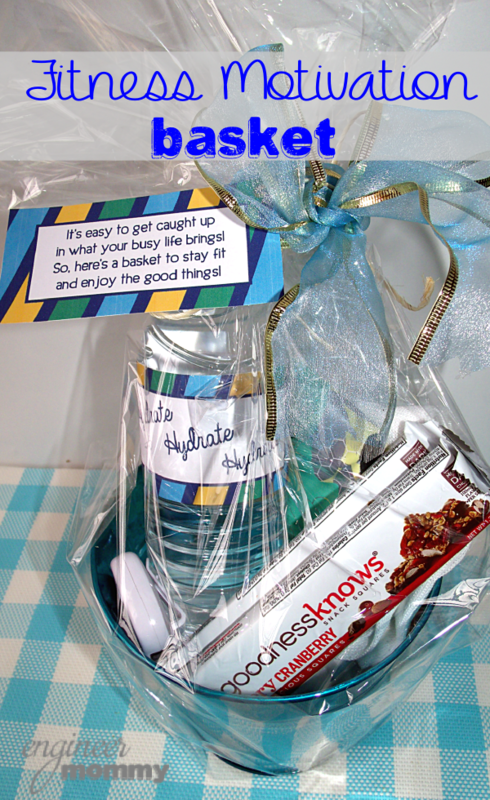 They will then become amazingly cute party favors! I know everyone will have a blast scratching off these tickets,and it will be so exciting to see if someone receives a huge payout!! I love playing the NJ Lottery games and always get super excited when I win anything. If I ever won a large cash payout, I would probably take the whole family on a long vacation to Europe! I typically buy my NJ Lottery tickets at my local 7-11 store, but they can be found at many brick and mortar Lottery retailers throughout the state, such as QuickChek, Wawa, etc. 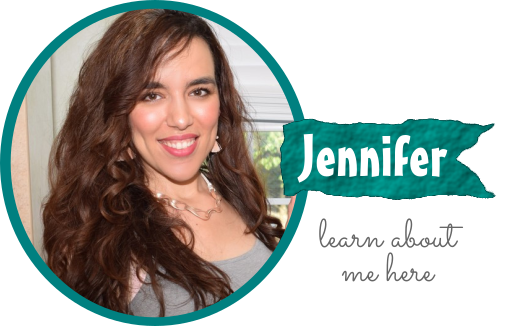 For more information, please visit New Jersey Lottery and tell me in the Comments: What would you do if you won the lottery? Disclaimer: Must be 18 or older to buy a lottery ticket. Please play responsibly. If you or someone you know has a gambling problem, call 1-800-GAMBLER FREE®. Parents are urged to think twice about gifting lottery tickets to children. Yes these are waistline friendly “candies”! Thanks for stopping by Alli! That is an adorable idea. I love receiving lottery tickets. They are so much fun! I love receiving them too!! Yes I love making my own ornaments! Oh wow these are super awesome, I am not good with anything DIY but I would like to try this one out with my mum’s old lottery tickets. This is a really easy craft! Hope you try it. They make great ornaments. My family has a Yankee swap and the lottery tickets are always grabbed over and over again. Oh those are cute! Definitely a neat way to upcycle. I like that they look like little candies. I LOVE this idea! Some friends and I buy lottery tickets for each other at Cmas and instead of just handing them over, this would be so cute!! Love it! These are so cute!! I love this idea what a great way to make ornaments. That’s a really clever idea!! The cellophane is really pretty. I’d like to find some like that. 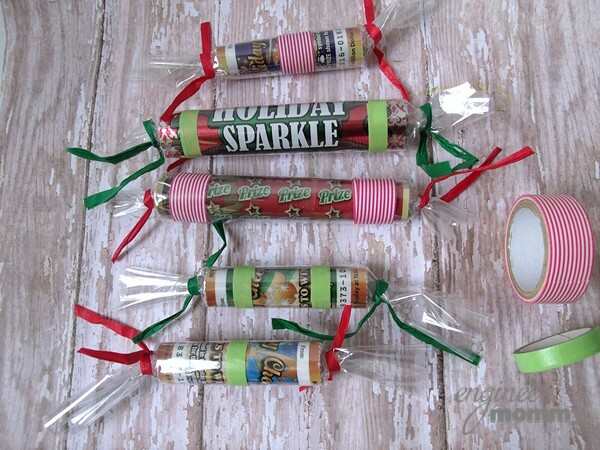 These are such easy cute Christmas Candy Ornaments with the lottery tickets. 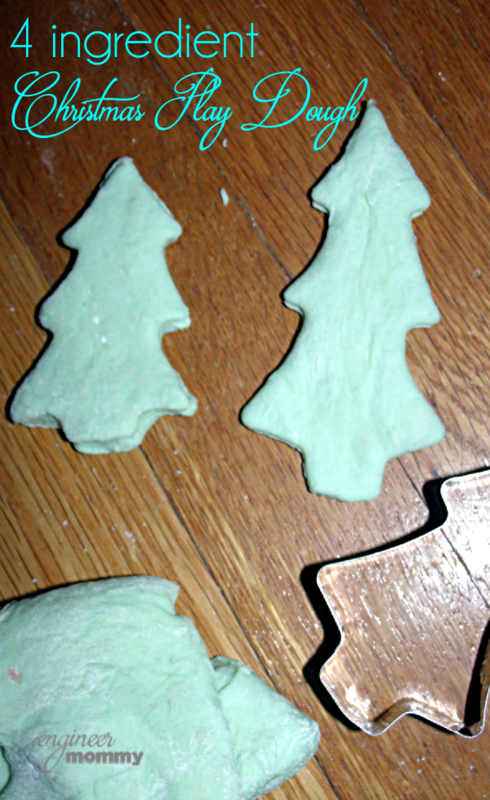 I am so going to have to make these for my little tree. Thanks for sharing the idea. What a cool way to present a gift! I would love to receive one of these! This is such a clever and unique idea, I love it! 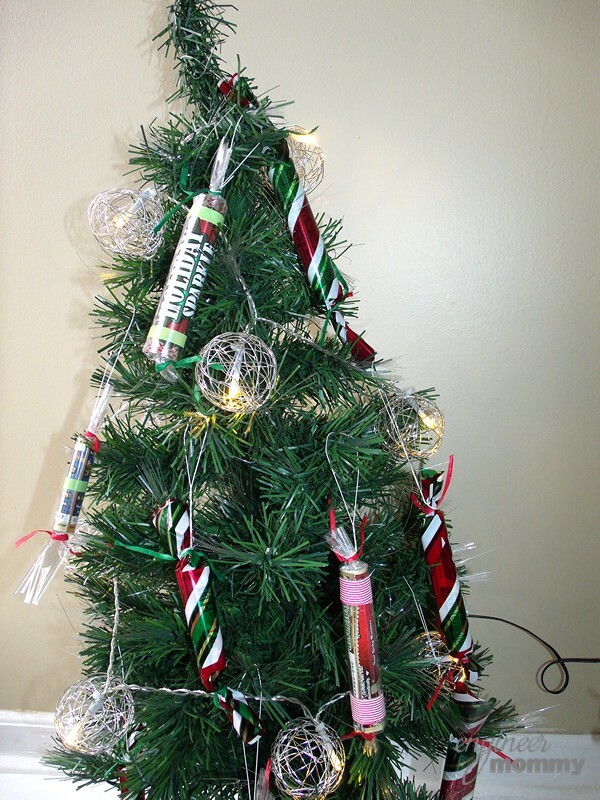 Might have to try this on my tree this year! They make amazing ornaments! Love the idea! Will be adopting a similar one this year! Thank you for sharing it! We often raffle off a lottery tree at work for charity! They make great ornaments! What a fun creative idea! Your Christmas tree looks so festive!